Every government would benefit from a lower level of debt. Finance Minister Arun Jaitley told Parliament earlier this week that he does not need the Reserve Bank of India (RBI) reserves to finance the fiscal deficit. The Bimal Jalan committee on RBI’s Economic Capital Framework can now focus on providing India a suitable framework for the transfer of RBI profits to the government. For existing reserves accumulated with RBI, it can simply recommend that they be transferred to the government to be used exclusively for writing down government debt. This is only fair because in previous years, government deficits have been overstated, and public debt is greater to the extent that the RBI has held back surpluses without prior authorisation of government. It is also a non-inflationary way to transfer reserves. 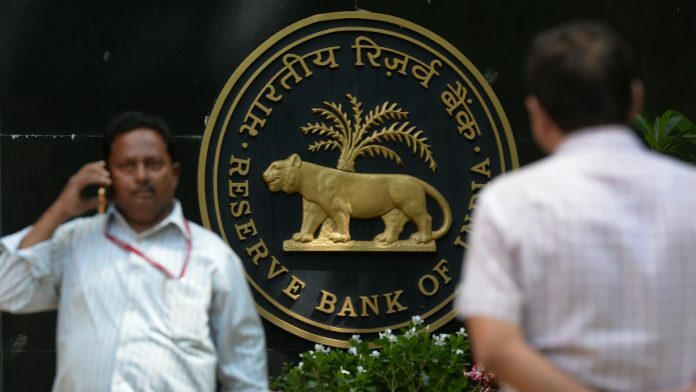 Since the debate about RBI surplus transfer became public following RBI deputy governor Viral Acharya’s speech, there has been speculation that the government wants an immediate large transfer in order to undertake large public spending before the 2019 elections. This scenario appears unlikely. It is usually difficult for a government to spend money very fast. The time between the likely vote-on-account expected to be presented on February 1 and now, is barely four weeks. A vote-on-account gives the authority to withdraw funds to a caretaker government that comes into existence when elections are announced. Even if large spending schemes are announced now, this period is not enough for suddenly increasing public expenditure. A large transfer could have helped a new budget. But since a new budget cannot be passed by a parliament that has concluded its last session before the polls, there may also be little incentive to get a large transfer now. Also read: Urjit Patel quits: Cry for RBI autonomy or inability to work with Modi govt on economy? The Jalan committee has to determine a suitable policy for the transfer of RBI profits and reserves. The laws of every country give its central bank the right to issue currency, which gives it a unique opportunity to make profits. The balance sheet of a central bank primarily consists of government bonds and foreign currency holdings on the asset side, and cash with the public on the liability side. Foreign currency assets are also in the form of bonds—the United States government (or some other foreign nation’s) securities. RBI earns interest on all bonds—foreign or domestic—that it holds. This is its interest income. The central bank does not pay interest to citizens who hold cash. A currency note is a “promise to pay the bearer” the principle but not the interest for holding it. In other words, the central bank earns interest on its assets and does not pay interest on its liabilities. The liabilities of the central bank, or the money we keep in our purses, come with a relatively small cost of printing. The difference between the interest earned and the operating cost of printing currency constitutes a central bank’s net ‘realised profits’. In addition, the central bank, which is also a banking regulator, earns profits from its banking operations. In many countries, the interest income, or profits, go straight back to the government, which had given the central bank the right to issue currency on its behalf. The currency controversy owes its origin to the fact that RBI held back some of the profits and created ‘reserves’ for the purpose of using them later for investment in subsidiaries and contingencies etc. These reserves exceeded what RBI was required to hold as equity capital or reserve fund, which was a mere Rs 5 crore (Section 46, RBI Act). In 1998, the RBI set up an Asset Development Reserve to meet the internal capital expenditure and to make investments in subsidiaries. By 2018, this had accumulated Rs 22,810 crore. Considering that as long as the public uses domestic currency, RBI is going to have profits and it could have undertaken investment in any financial year using its profits, there was no need for building such reserves. However, the law is ambiguous. There are two sections in the RBI Act, section 47 and 58, which allow the RBI, in consultation with the government, to create reserves. The RBI appears to be claiming that what it did was permitted under the legal framework. But the government seems to be saying that since it was not consulted, the creation of reserves and the money tucked away in them was not kosher. Another reserve, the Contingency Reserve, as the term suggests, was created for meeting contingencies. It has an even bigger amount—Rs 2.32 lakh crore. This is to be used to meet unforeseen and unexpected contingencies. Again, when this reserve was created, for the sake of clarity and in the interest of transparency, the government and the RBI needed to have agreed upon its creation along with a set of rules about what constitutes a contingency. Today, it is being argued that this sum can be used for recapitalisation of public sector banks. But since there are no rules, there is no agreement on such use. Also read: Is Viral Acharya speech just another fight or shows Modi govt’s inability to work with RBI? But that is not all. RBI holds foreign exchange reserves as assets. When the currency depreciates, it can issue more of it. Let’s say the RBI issued Rs 30 for each dollar it bought in the 1990s. When the rupee weakened to say Rs 60 per dollar, it could have issued an additional Rs 30 for each dollar without having to increase its assets. If it does not do so, the gain is an ‘unrealised gain’. That is Rs 30 added to a ‘Currency and Gold Revaluation Account (CGRA)’. By June 2018, RBI was holding Rs 6.9 lakh crore in its revaluation reserve. What would have happened if, instead of holding this money with itself, the RBI had given it to the government in the year it was earned? If the government tax and expenditure had been the same, it could have reduced the amount of borrowing it did each year. One way to correct the problem is the RBI giving the bulk of this money to the government only to write off debt. There would be no large transfer of money to the government to spend, but the debt burden of the central government would certainly reduce. Back-of-the-envelope calculations suggest that around a 7 per cent reduction in debt would reduce interest payments by the central government per year by around Rs 40,000 crore. A lower debt-to-GDP ratio and lower interest burden would improve India’s credit rating. The RBI’s rating and international standing can only improve if its reserves are better allocated than lying unused as equity capital. It would also not be a ‘political’ solution as all future governments—besides the current one—would benefit from a lower level of debt. Completely agreed. Even if gvmt would be made to use this sum only to write off existing debt it would not take much long for gvmt to bring it back back to current levels or even exceed it. Solution being proposed is theoretical and would only work in hypothetical scenario where gvmt will act like exactly how they should. So, in no way a windfall should be transferred to gvmt. Instead, legal framework can be corrected to transfer large percentage of future profits to gvmt which can be used for restricted purpose in the interest of 1.25 Cr countrymen. First, one has yet to meet an Indian housewife who believes she has more gold jewellery than is good for her. No harm in the RBI holding a little more, rather than a lot less, reserves than it needs. More importantly, there is zero prospect of the government being so fiscally prudent as to use a windfall to actually pay down public debt. The transfers will be used to get through an election year, with largesse on call. The November figure of fiscal deficit is already about 115%. 2. Shortly after the government took office, an Expenditure Review Committee was constituted under Dr Bimal Jalan. That was an early indication that there was no appetite for tough decisions. We do not know what happened to the Committee’s Report. Revenue expenditure has been on a roll. My heart tells me this Report from Dr Jalan will not be ignored. Old accumulations of the RBI’s reserves will be hoovered out and used with only the elections in mind.